The Fun & Fearless Leadership book is the entirety of my leadership philosophy, techniques and experience put into one place, with a ton of real-life stories and practical advice included in it. It’s the way I look at leadership, the way I understand it, the way I teach it, and I give you real examples from my past, from my mistakes and from successes. I loved writing it and I’m really proud of how it ended up. 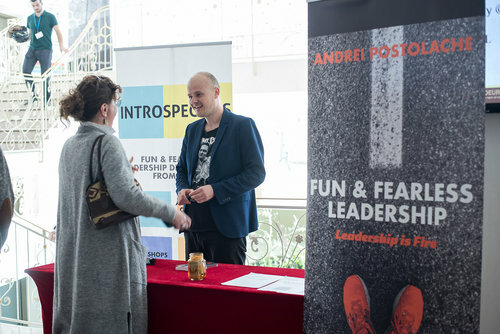 The initial book launch was at Codecamp Iași in October 2018. Codecamp is the largest IT conference in Romania. Order it from Amazon if you want it as a book, or download the PDF for free.